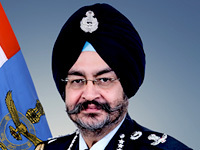 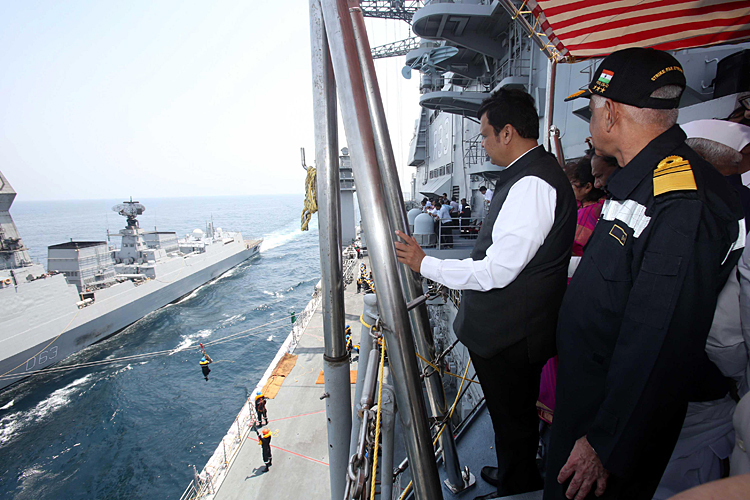 Vice Admiral Girish Luthra, the Flag Officer Commanding-in-Chief Western Naval Command hosted Devendra Fadnavis, Hon'ble Chief Minister of Maharashtra, Ramraje Naik Nimbalkar, Chairman of the Legislative Council, Haribhau Bagade Speaker of the Legislative Assembly, along with other MLCs/ MLAs and senior state functionaries onboard frontline Indian Naval warships of the Western Fleet on 04 Apr 18 at Mumbai. 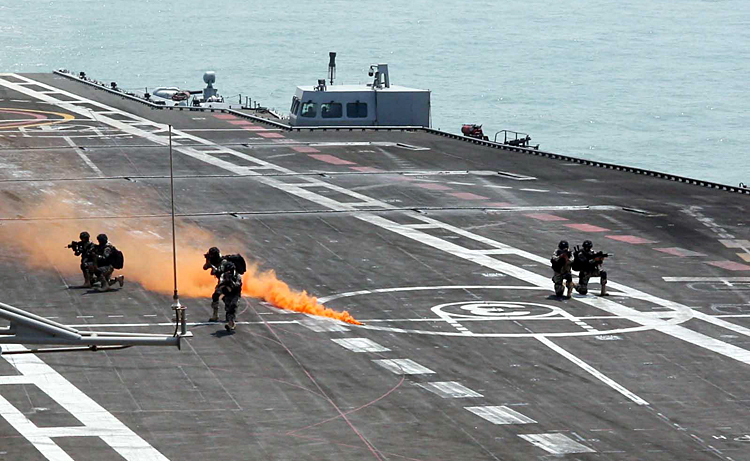 Aircraft Carrier INS Vikramaditya alongwith other frontline Naval ships Chennai, Kolkata, Trishul and Teg of the Western Fleet participated in the exercise off Mumbai. 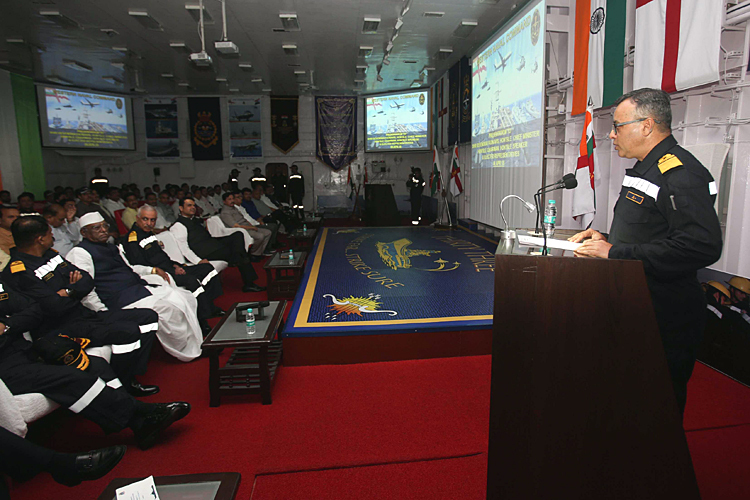 Besides a detailed briefing on the role and scope of operations of the Western Naval Command, an Operational Demo was conducted for the embarked personnel. 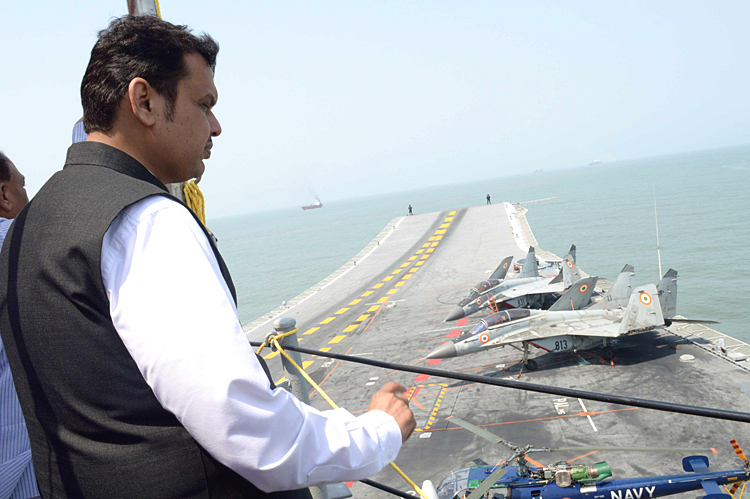 The exercises and live demonstration included Submarine Demo by recently commissioned submarine INS Kalvari and missile demo by INS Vidyut. 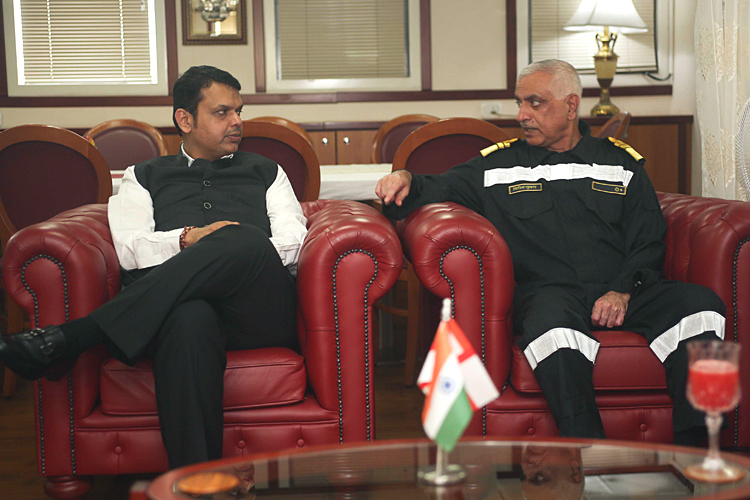 In addition, Search and Rescue Demo by SAR helicopters, provided a clear insight into the complexities of rescue operations at sea, especially in higher sea states. 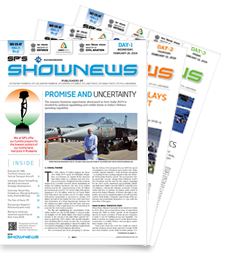 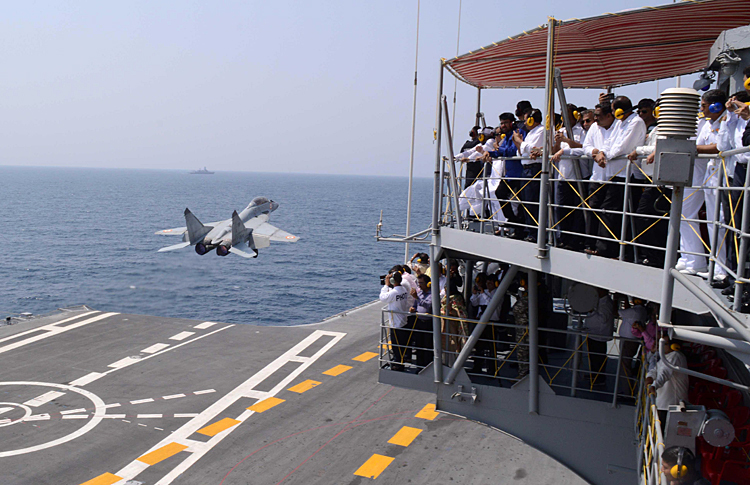 The shipborne Anti Submarine Warfare Seaking and AEW Kamov helicopters and the MiG 29K carrier borne fighter aircraft participated in an impressive Air Power Demo. 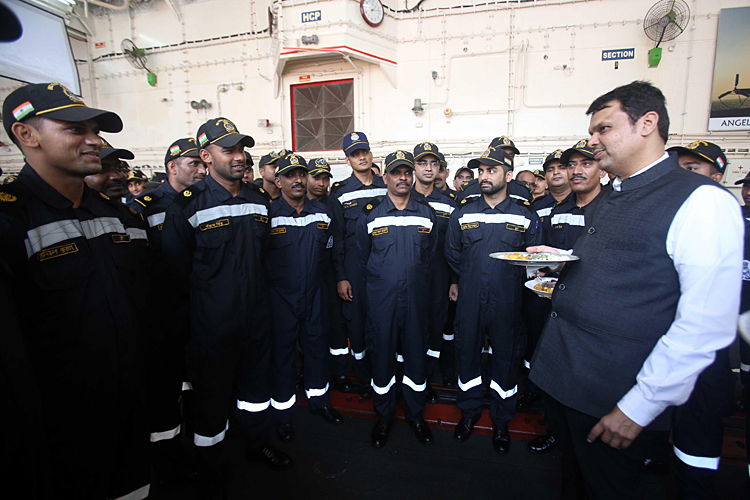 The Hon'ble Chief Minister of Maharashtra, Devendra Fadnavis, along with other MLCs/ MLAs and senior state functionaries were given a tour of the operational facilities and interacted with the ship's company of INS Vikramaditya over lunch, to get a first hand exposure and sea experience on range and scope of activities undertaken by the Navy at sea. 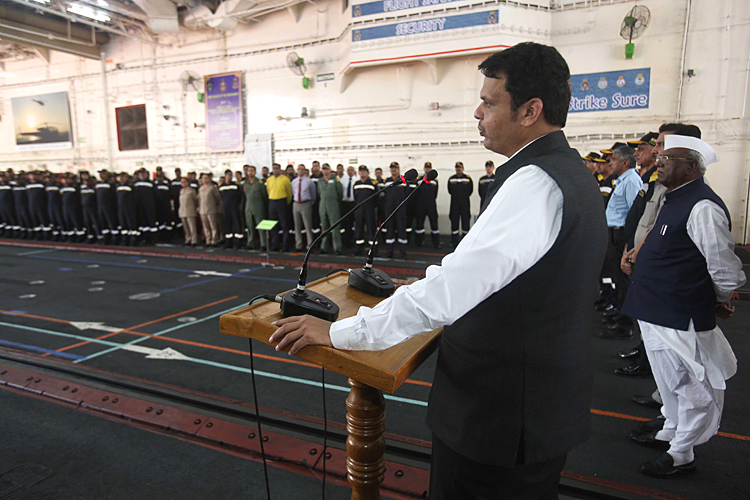 Addressing the crew of INS Vikramaditya, the Hon'ble Chief Minister congratulated the Navy for its gallant service to the nation and acknowledged the professionalism and fortitude of naval personnel in a challenging environment at sea. 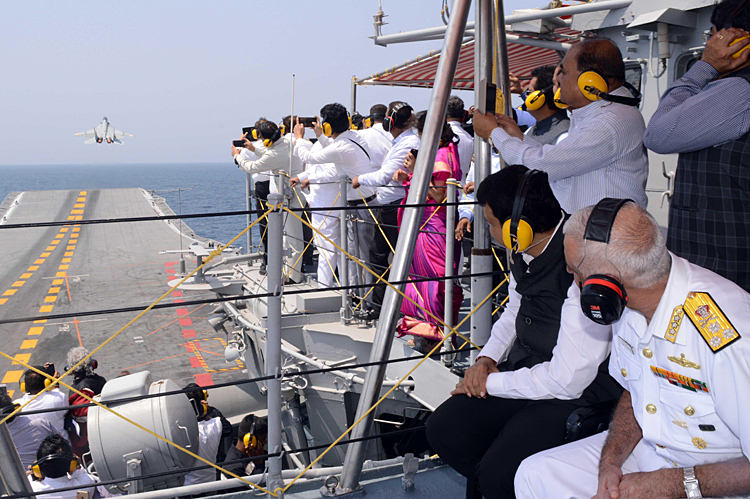 He appreciated the Armed Forces' role in safeguarding the territorial, maritime and economic interests of the country and said that he and his colleagues were privileged to have spent a day at sea with the Western Fleet.